Thankfulness! | Reflection of Glory! May we overflow with thankfulness!! 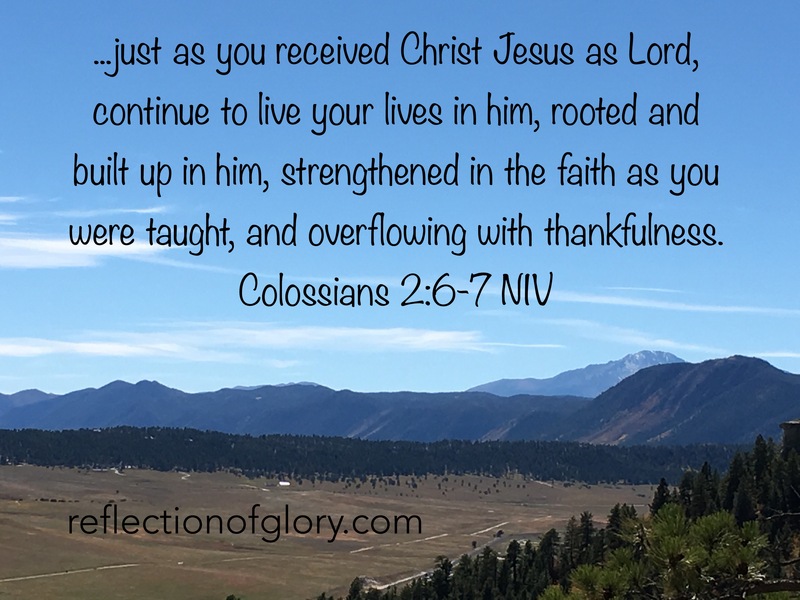 As we live for Him, focused on Him, rooted and built up in Him – we will indeed find ourselves strengthened in our faith as He lives through us – transforming us to be more and more like Him!! [vision]. I see a tree (us) with strong roots growing into rich, life-giving soil (Jesus). I see healthy, strong, beautiful fruit (fruit of the Spirit) covering the tree. May others be drawn to Jesus by the fruit that is evident in our lives! ← A Fire in my Bones!